Garage Door Tune-Up | Make Your Garage Door Safe & Quieter! We provide speedy and expert garage door maintenance for all models of overhead doors. Garage door maintenance is the “ounce of prevention” that keeps your garage door and opener in tip-top working condition. Our garage door maintenance includes inspections and adjustments that help prevent more dangerous, costly, and inconvenient breakdowns. Nothing is more frustrating to have your car trapped in your garage by a garage door off its track. Our maintenance service helps prevent that type of repair and more. Call 281-252-3346 to schedule a garage door adjustment and to learn more about regular maintenance. 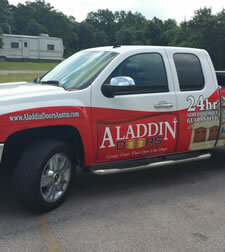 Aladdin Garage Doors Houston is a full-service garage door service and repair company serving the Houston, West Houston, Katy and surrounding areas. 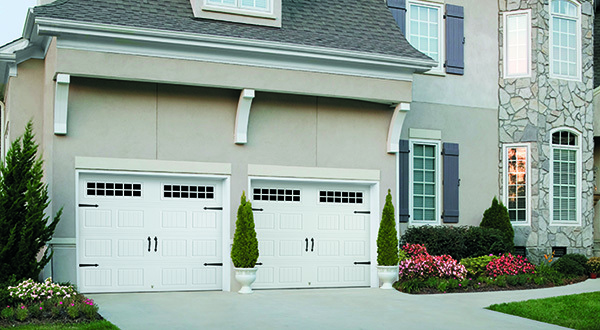 We specialize in the service and repair of residential garage doors. Our professionals perform regular, periodic maintenance to ensure your doors operate trouble free. How Often Do You Need Maintenance On Your Doors? That’s a good question! And it really depends on your situation, the type of doors, how frequently they are used, and what type of environment they are operated in. If a door is only used a couple of times per week, it will need less frequent maintenance than a door that is cycled dozens of times per day. After an initial inspection of your door system, we’ll be able to put together a solid maintenance plan along with any recommendations for upgrades or repairs. When you choose Aladdin Garage Doors Houston, you are choosing well-qualified technicians and the customer service of a small, local, family run company. We are large enough to serve all of your door services needs 24/7/365, and we’re still small enough to treat you as if you were our only customer and make sure you’re 110% satisfied with our services. Whether you have a single garage door in your home or multiple garage doors, we can provide garage door tune up services to keep your doors in operating order. Contracting a garage door maintenance program is usually less expensive than making repairs from abnormal wear and tear when a garage door is not adjusted. If you’re ready to schedule your garage door maintenance please give us a call 281-252-3346 or fill out our contact form and someone will be getting right back to you!